If you have followed my writing, or listened to my radio appearances, you likely know that I am terrible at making hockey predictions. Still, I approach my prognostication with buoyancy and hubris. Accurate or not, it is always interesting to look back months later and see one’s thoughts given the circumstances of the time. I did not make a predictions article prior to last season, but it would have been fascinating to see the perspective change about a Penguins team that went from being a complete dumpster fire, to Stanley Cup Champions. So as the 2016-17 hockey season kicks off, I give you the opportunity to tease, taunt, and otherwise ridicule me several months from now with my epic predictions. The 24-year-old winger will find a home alongside Evgeni Malkin or Sidney Crosby, and become the best of the 2016 Wilkes-Barre call-ups. 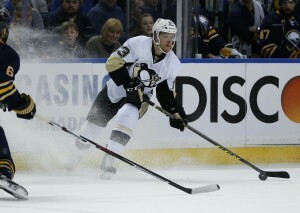 We have all head the comparisons to Chris Kunitz, which is a testament to what Wilson can bring to the table. The expectations are high, and there is no reason to believe that he won’t meet them. This will happen in a good way, depending on your perspective. I don’t buy the drop in play that everyone is predicting. He will continue the play that formed the HBK line and will completely play himself out of the Penguins’ price range when he hits free agency next summer. Pittsburgh will try their best to bring him back, but with financial considerations, and players like Jake Guentzel waiting for their opportunity, a return may not be possible. This is the prediction that I would most like to come to fruition. 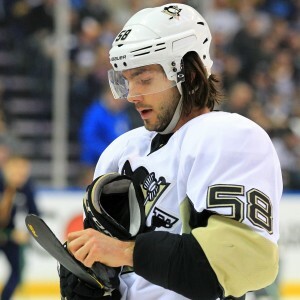 Kris Letang is the most talented Penguins’ defenseman since Paul Coffey, and arguably the best in the NHL. For whatever reason, Letang never gets his due credit from the hockey world. If he can play this season like he did during the second half of last year, there is no realistic excuse for him not to win the Norris Trophy. Despite his potential, the Penguins’ organization has repeatedly shown that they have no faith in Derrick Pouliot. It is becoming clear that a fresh start would be best for the young defender. The team will need to get something in return for him, so maybe they should trade for Ben Lovejoy. Deja vu all over again. The NHL has had a good, long look at the system that Mike Sullivan implements. Some will be trying to copy it, while everyone is working to stop it. The thing is, the copycats don’t have Sidney Crosby, Evgeni Malkin, Phil Kessel, Carl Hagelin, Kris Letang, Trevor Daley, and the rest of the players that fit so perfectly in Sullivan’s system. The players are too talented, and the coach is too smart to let adversity stop what they do. Adjustments may be made, but the Penguins will continue to dominate with their possession-driven game. Prior to last season the hockey world was sure that Phil Kessel was going to score 40 or 50 goals because he would be playing alongside Sidney Crosby. That scenario didn’t play out, and Kessel came nowhere near that mark. This season he could score 40 goals, not because of Crosby, but because of Phil Kessel. Toronto is behind him, and he learned that he can play his game in Pittsburgh. Phil being Phil could turn into a lot of points. Someone will suggest that Mike Sullivan be fired. It won’t be a joke, and it will be ridiculous, but you know it’s going to happen. Pittsburgh will eventually trade Fleury, and they will not get the return that everyone would hope for. It’s a shame that the expansion draft will force their hand, but it seems inevitable. The talent from Wilkes-Barre will be felt again. Players like Jake Guentzel and Carter Rowney will have an impact in the NHL, and will make a strong case for staying there. Justin Schultz will become an asset on the blueline. He will have an opportunity to thrive in the Penguins’ system, and will score 12 goals. At some point, the HBK line will become the HGK line. Carl Hagelin, Jake Guentzel, and Phil Kessel. The Penguins’ players with the best possession numbers will be in order, Conor Sheary, Chris Kunitz, and Sidney Crosby. 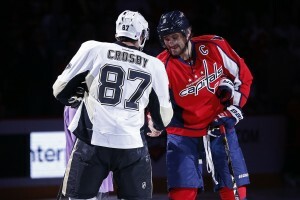 Crosby and Malkin will remind everyone that they are still the best players in the world. Connor McDavid and Auston Matthews will have to wait their turn. There we have it, folks. You heard it here first. The Penguins will repeat as Stanley Cup Champions with a record of 57-20-5 as seen in the THW Season Preview. In nine months I’ll be able to say “I told you so”. Feel free to share your predictions in the comments below, or contact us via social media.